A husband and wife team, we love life and we love photography! Our photography comes from the heart! Authentic, honest and real. People say you should specialise, you know what I mean, specialise in one thing or the other, babies, weddings, or portraits! I say, we do specialise! We specialise in photography! 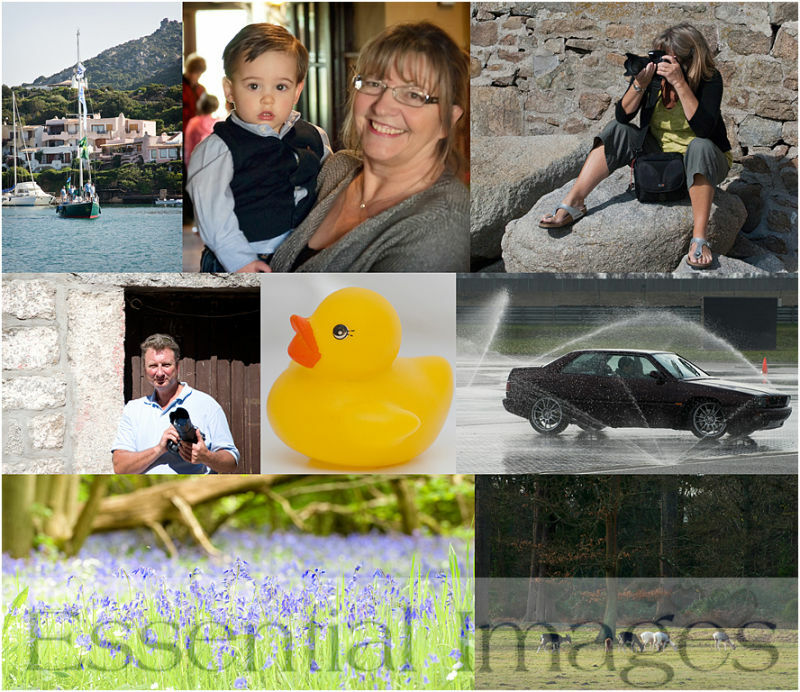 Our speciality is taking pictures of people; little people, big people, young or old people, places, hotels and brands. We love it all..
Be ready to have fun, to laugh and feel relaxed on a shoot with us and get ready to see photos that will wow..
Malcolm loves track days (he's a bit of a petrol head) and if you have a classic car he'd be thrilled to photograph it and you :) He also loves sailing and has crewed in yacht races such as Cowes Week, Antigua Caribbean 600 and the Fastnet. Jan loves babies and children loves to fill in her spare time photographing her grandchildren. She also loves to read. Oh and visiting gardens especially in the Autumn and Spring. Loves watching anything on the TV that makes her laugh and adores romantic movies. We help you remember those moments with photography that makes you smile, brings a tear of joy to your eye and keeps your memories alive. Following in Dad's footsteps with photography, Jan qualified with the BIPP and RPS in digital portrait photography. holds Certificates I and II in Digital Imaging. All post production is done in house before being sent to a professional laboratory for printing. We have different styles of photography that compliment each other! We are recognised for our down to earth and relaxed style, sense of humour and putting people at ease in front of the camera. We are aware of the many changes in photography and make sure we keep Essential Images Photography up to date by regularly attending seminars with leading professional organisations.